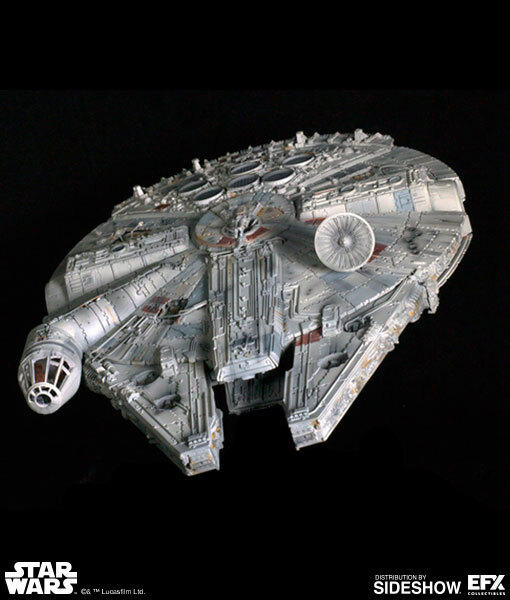 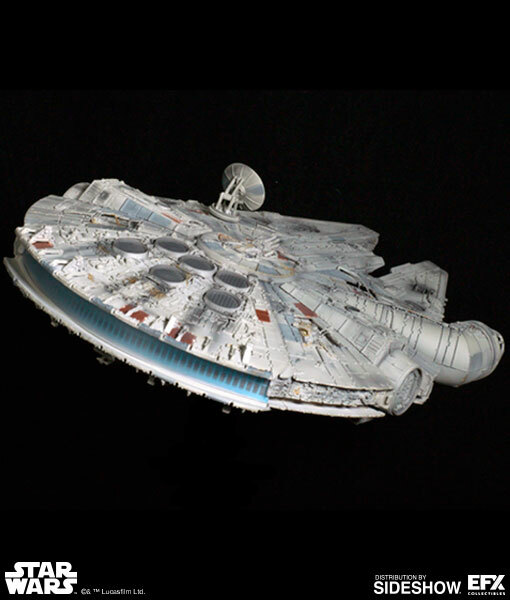 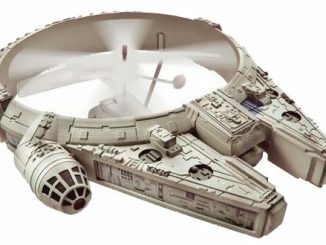 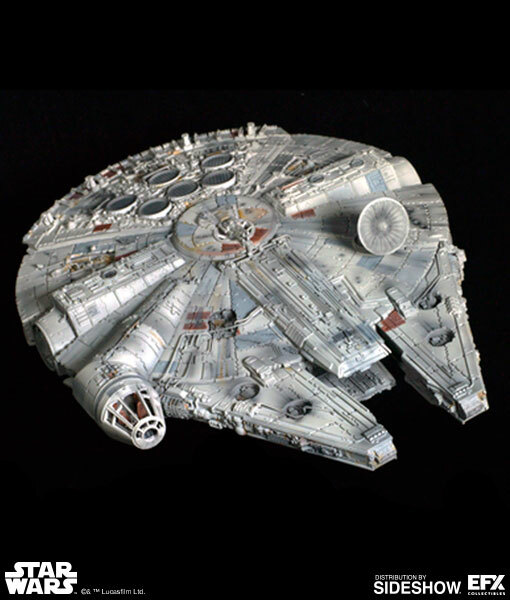 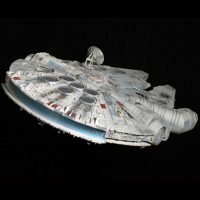 Whether you’re a fan of the Han/Chewie combo or the Rey/Chewie combo, you’ll want to add the Star Wars Millennium Falcon Diecast Replica to your collection of cool Star Wars vehicles. 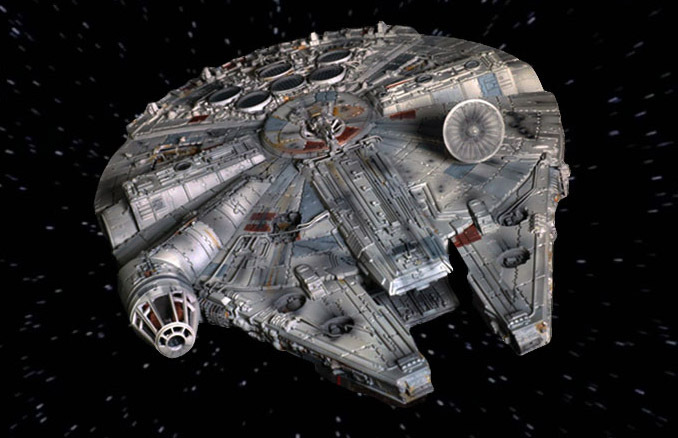 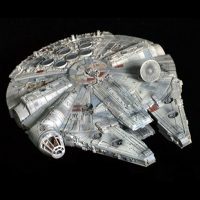 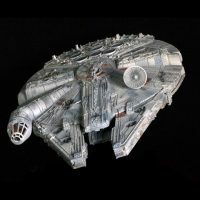 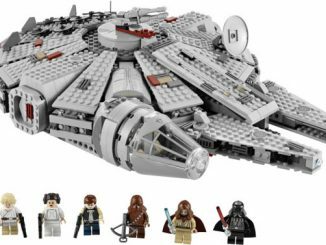 The Star Wars universe is filled with a wide variety of imagination-breaking aliens, weapons, and ships, but the iconic and instantly-recognizable Millennium Falcon has to be a favorite of just about everybody. 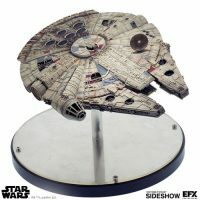 You can’t break any Kessel Run records with it, but this 8.5″ H x 16.25″ W x 19″ L replica will get plenty of admirable looks because of movie-accurate details like the forward-mounted cargo-gripping mandibles and the starboard-mounted offset cylindrical cockpit. 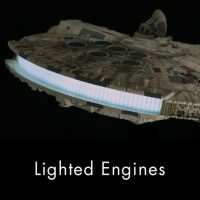 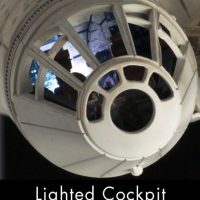 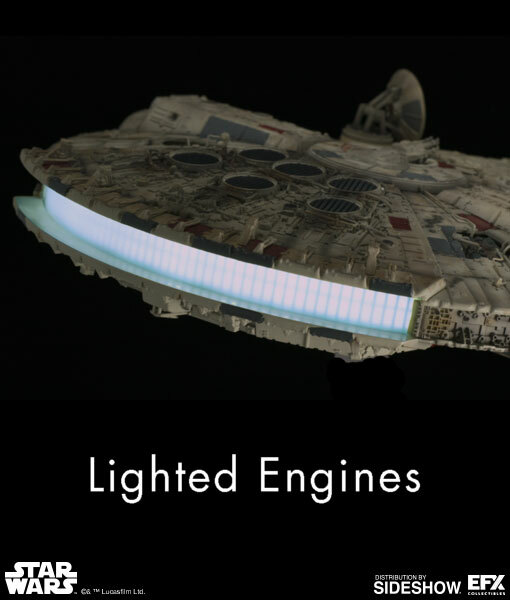 The ship even has lighting effects for the cockpit, headlights, and engines. 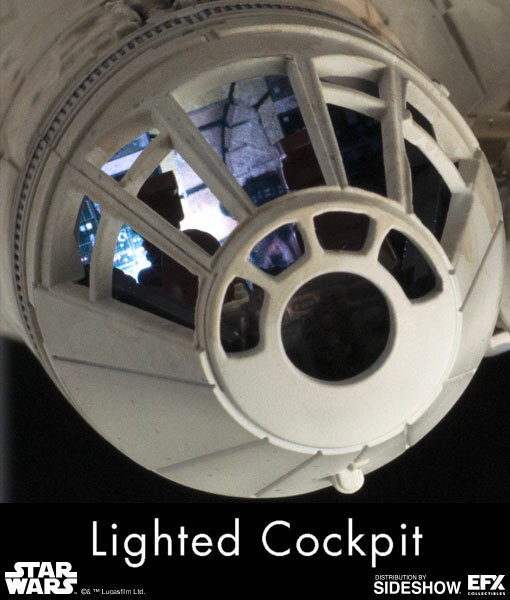 Coming Jul 2017 – Sep 2017. 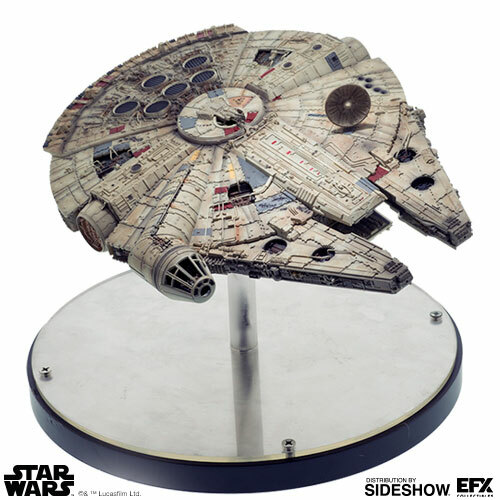 Pre-order now for $599.99 at Sideshow Collectibles. 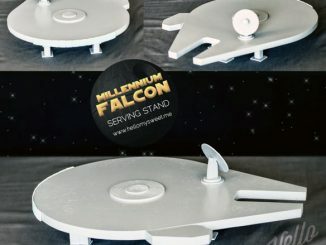 Never enough Falcon in your life? 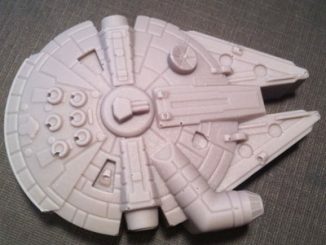 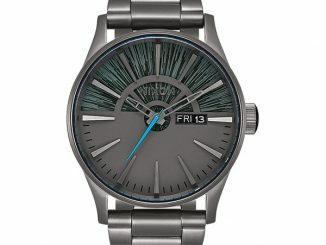 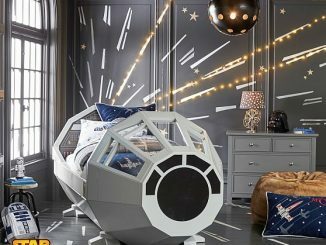 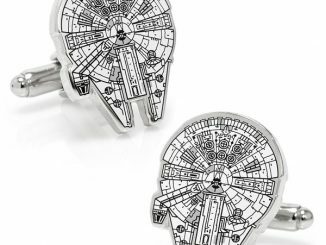 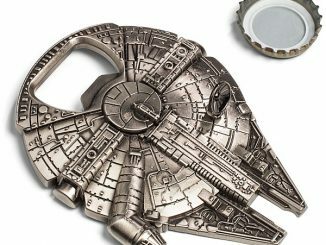 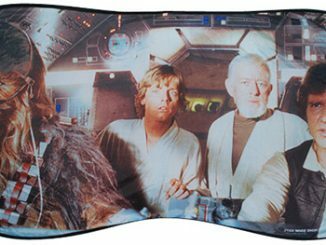 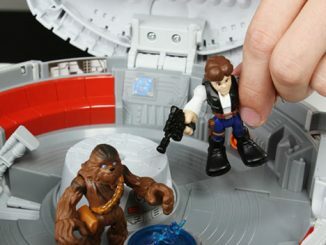 Visit Rout.com to find great deals on Millennium Falcon merchandise.